A story with a celebrity in it | Blog? What blog? So this guy at work, whose name rhymes with Farl lePooza, challenged-tasked me to write a post about Corey Feldman. He said he’d give me $5 for it. I am certain Farl would not have put up such a high bounty had he known what I know, which is that I have actually met Corey Feldman. In real life. And I’m going to share that story with you now. So sit back, no — get yourself a snack first. Got it? OK. Get yourself a napkin, for God’s sakes. You’re not a neanderthal. NOW sit back and listen. The summer after I turned 15, my family went to California to visit my aunt who lives in San Pablo. Hsiao Mi Gu Ma, as we call her, is my dad’s youngest sister. She’s modern and cool, so cool in fact that she took my sister and I shopping in Beverly Hills in her convertible car. It was so badass. There we were with our fake Ray Bans from Mac’s Milk, my long, spiral-permed hair styled with a metallic headband, blowing in the warm California air. As I gazed at the palm trees zooming by overhead, I thought that I was pretty much The Coolest Chick in the Entire World. Our first stop was lunch at what we thought was a pretty fancy restaurant. I ordered a Coke and when it came to the table, the top of the paper wrapper was still covering the top of the straw. That’s how we knew. Before our meals came, I had to go to the bathroom to apply more raspberry LipSmacker. As I pushed against the door marked ‘W’, something on the other side blocked the door. I could see through the partly open door that someone was sitting on the floor, preventing it from opening all the way. A man’s voice mumbled, “Sorry,” and the person stood up and swung open the door. 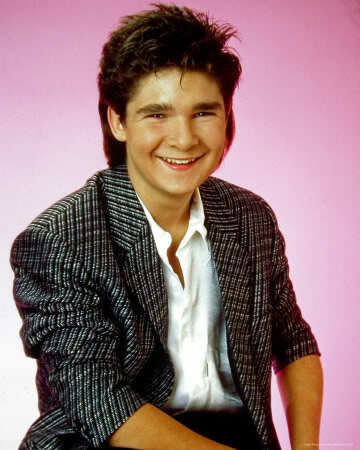 I was shocked to find myself face-to-face with, you guessed it, Corey Feldman. You know how they say that when you see a celebrity in real life, you don’t recognize them right away? Well, that didn’t happen with Corey because he looked exactly like the picture I’d Blue-Tacked up in my locker, ripped out of Sixteen magazine. Same outfit, same hair, same everything. Except in real life, he smelled like vomit and pee and had a big smear of mustard on the side of his face. “Sorry,” Corey mumbled again as he stumbled past me. I watched as he weaved his way through the restaurant and out the door. I ended up not going into the bathroom, instead going back to my table and telling my sister and aunt what had happened. And that’s my Corey Feldman story. You can EMT me the money, Farl. Note: sometimes I make stuff up and this is one of those times.